The Brea Gallery is proud to host the 50th Annual Watercolor West International Juried Exhibition in partnership with Watercolor West. Celebrating 50 years, the masters of transparent watercolor will present a timeless collection of paintings juried by Katherine Chang Liu. As always, this annual show will feature one hundred of today's most captivating watercolors from across the globe, illustrating the potential of this enthralling medium. The catalyst for the birth of Watercolor West took place at Mt. Carmel, Utah in May 1967, where a group of California painters from Redlands were taking a workshop. These students enjoyed the transparent watercolor techniques they were being taught by instructor Milforn Zornes and discussed how little transparent watercolor was being included in current exhibits. At the time, most watercolor exhibitions included water based media such as acrylic, ink, gouache, tempera and mixed media. 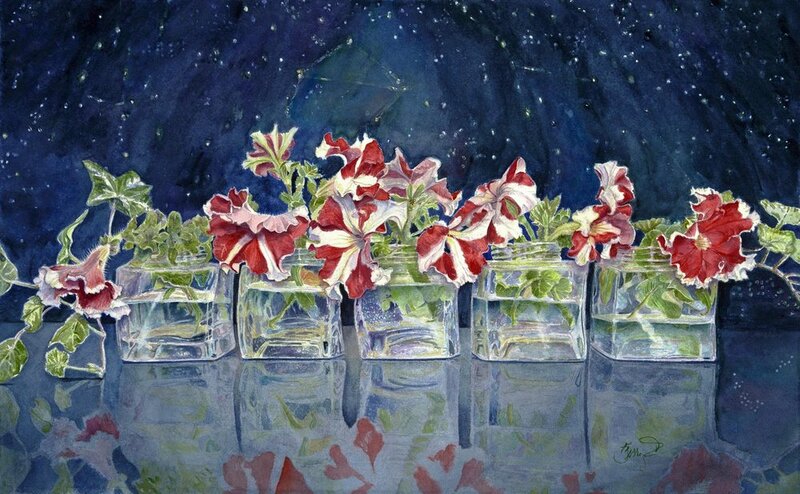 Zornes suggested that they start a watercolor society that would promote and exhibit only transparent watercolor. He also offered to be their advisor. Upon their return to Southern California, informal meetings began. Then in 1967, Watercolor West was born. In 1968, the First Annual Exhibit was held in an empty storefront in Redlands. It was a non-juried show that featured the work of ten watercolorists. The following year, distinguished watercolorists Rex and Joan Irving Brandt were invited to act as jurors for the Annual Exhibit which was held for the first time at the Riverside Art Center, now the Riverside Art Museum. Thus began a tradition of inviting some of the nation’s most renowned watercolorists to jury the show. Until the mid-1980s, the Watercolor West Annual exhibit was an annual spring event at the Riverside art Museum. Then the show moved to other venues: the City of Brea Gallery in 1985 and 1990, the San Bernardino County Museum in 1989, and the Brand Library in 1991. From 1992 through 2009, Riverside and Brea hosted the show on alternate years. Starting in 2010, the annual exhibit has been at the Brea Gallery. Over 100 pieces of artwork are featured in this exhibit, here are a few of our favorites!